Bridge Overseas organise hosted Bridge​, Whist, Poker, Chess, ​Bowls​, Bowling, Petanque, Golf, Dancing and Walking ​holiday UK breaks and tailor made group events. Group holidays. Trips & Excursions. daily organised Short Mat Bowls at the Playa La Arena hotel in Tenerife continues to be very popular and we are aiming to include this facility to other overseas venues for later this year to complement our morning and evening duplicate bridge sessions. 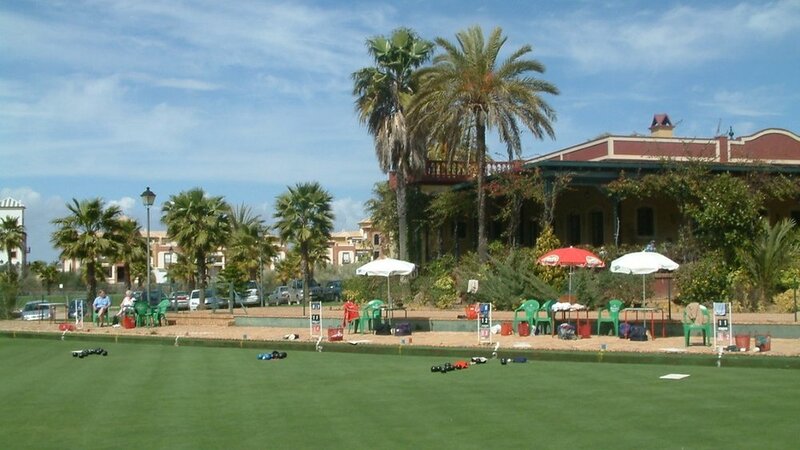 After successful holidays over many years to both Athena Beach Hotel in Cyprus and Isla Canela Hotel in Southern Spain, we now include three weekly organised sessions of Green Bowls at the Isla Canela bowls club, the on-site facilities at Athena Beach and at the Marina Hotel in Mojacar. For non bridge players or keen bowlers we can add additional sessions for you so you can play every day or if you are part of a group we can put together a bespoke package just your club, whether its Short, Long Mat, Green Bowls or Petanque. We will be organising Petanque games during the day when we visit Turkey and HOTEL PLAYAS DE GUARDAMAR. Please do let us know if you have a group interest and we will happily organise a tailor made bowling holiday for you.